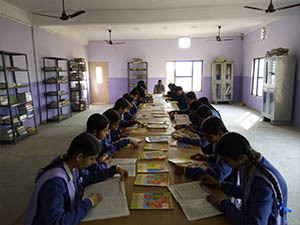 A computer laboratory having a trained comport and a standard student-computer ratio. The students will be encouraged to make their own power-point presentations to facilitate learning in other subjects. Adequate emphasis will be given to the computer- added-learning. Supervised internet surfing will be encouraged to get the feel of technology being used the world over. A science laboratory complete with all the latest gadgets to make the subject more appealing to children. 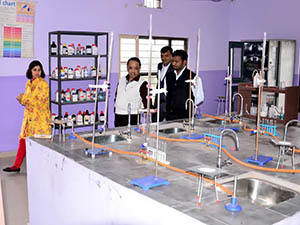 This will inculcate a scientific temper among students and facilitate the habit of discovery through experimentation, inquisition and project work. Greater emphasis on indoor/outdoor physical activities for complete physical fitness. School possesses 5 acres of play ground for football, volley ball, basket ball and other outdoor games. 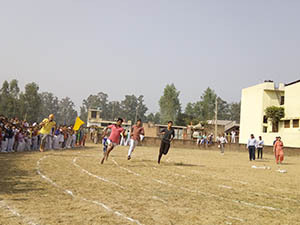 An athletic track as per international standards is a special attraction. An efficient transport system that ensure safety of the children. 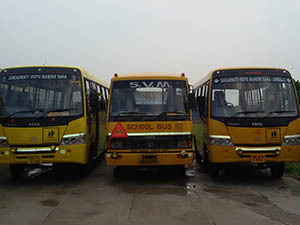 Buses ply on pre-defined routes and be parked in the school premises so that alighting and boarding can be monitored by teachers personally. 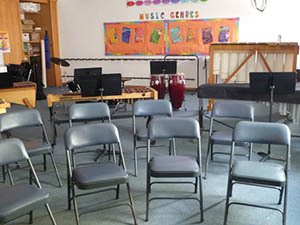 Children will also be introduced to various genres of dance through highly experienced professionals.